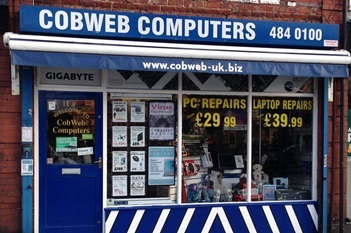 With the 2015 Retail Price Comparison due to open at the start of May, we caught up with David Marchant of Cobweb Computers Manchester, to ask him whether taking part in 2014 was worth it. Find out what he had to say in this the first of a series about participant's experiences. And decide for yourselves whether you'd like to be part of it this year. Like so many of you, David followed his passion. After many years with B&Q helping set up and open new stores, he decided to go it alone and follow his passion. 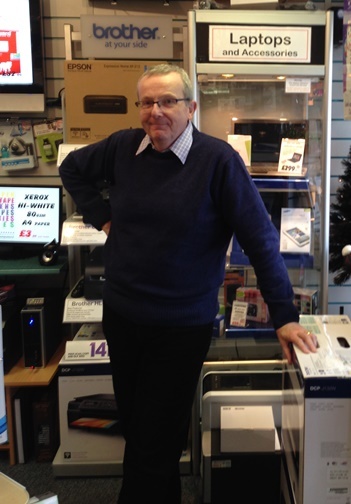 17 years on and now with 2 full-time technical staff David has thrived while he's seen many around him come and go. The secret? "Work hard, give superior service, have a great shop and treat every single customer like they're the best you've ever had" he says, "It works." What caused you to take part in the Retail Price Comparison? "I was nosey" says David. "I was sure my prices were OK. But I guess I just had this nagging doubt they might not be". He continues, "I saw the Comparison, realised it wouldn't take much to complete and thought why not? If nothing else it'd save me hours of work getting all those prices myself". "I expected my pricing to be OK. I thought there might be the odd thing I was out on" David starts. "And in the main, things were fine. I was surprised my HDD prices were about 15% high as customers never mention it. But whatever I don't plan any changes – there's no need." He continues, "But what really stuck out was labour – I had no idea the pricing PCW gets away with!" What was the issue with labour charges? "Let's put it this way" says David, "Given their prices, there had to be room to raise mine. So I bit the bullet and put up my standard PC Clean-Up by 2½ times. My technicians were unsure – I was unsure. 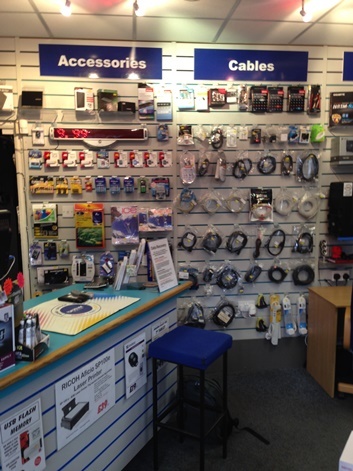 But, if we were wrong we'd know with the first customer's reaction and could change things then." He continues "No-one said a word!" David replies emphatically "Yes. I'm making more money – for no effort. It's good knowing my prices are fair and reasonable" he says. "But what it's really taught me is I have to know what my competitors are charging. It's just too easy to under-price because you don't know what something is ‘worth'. It's too easy to give away profit you could reasonably have. No more - most weeks I now spend a couple of hours out at the local PCW or at a competitor checking things out. It's now part of my routines for running the business. Most weeks I'm usually nudging a price up." Any last words for people on the fence? "Do the Retail Price Comparison" says David. "It's one of the best ‘45 minutes' I've ever spent - that's how long it took me to do it. It's made me realise how much money is easily and reasonably within reach." He continues, "You're never too busy for things ‘high priority'. But it's easy to make the job in front of you more important than it really is. I've spent many years not getting that right. I'd counsel others to be wary of that too". Hi GMac. Thanks for sharing your experiences. Glad you're taking part again. Even more help available this year. Seen our video?